The #1 Rated Utility Locating Services in Bronx, NY. 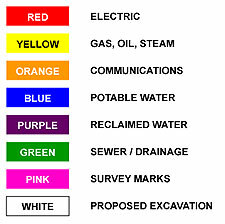 WANT TO KNOW MORE ABOUT UNDERGROUND UTILITY LOCATING DETAILS? Where can you safely excavate without damaging utility lines? Do you need an underground utility locating service before you design a new project? ACS Underground Solutions specializes in Utility Locating in Bronx, NY. When it comes to Utility Locates, it is important to choose a highly trained expert. We have been specializing in Utility Locating services for years, and provide quick, reliable services. Contact Us for all your Utility Locating needs in Bronx, NY info@acsunderground.com. Admiral Conservation Services (ACS) Underground Solutions is a privately owned consulting company that provides Utility locating services to construction professionals and property owners throughout the Bronx, NY area. Site and office personnel are fully qualified and trained to provide creative and cost-effective solutions to your problems. Underground utilities remain intact, avoiding any costly surprises giving you peace of mind.